So 3 1/2 years ago I made this gold leaf and lace wedding cake for my cousin. I’ve loved that cake ever since and I’ve used silver leafing quite a bit in other wedding cakes – silver leaf wedding cake, and this trio of wedding cakes so it’s been on my “to do” list for awhile to make a video tutorial for this EASY and lovely technique. As long as the gold is 24 karat it’s edible. One packet covered an 8 inch cake perfectly, I used 24 out of 25 sheets. BUT it’s a risk, you’ll either want to start with a 6 inch or buy extra leafing. I mean seriously this is one of the EASIEST cake video’s I’ve made so far. SUPER simple the only downside is the COST! I mean it IS gold so it get’s super pricey, soooooo if you just want to test it or practice I’d suggest the silver leafing (much cheaper) but DANG how amazing does this gold look! I love adding large flowers to these small cake tiers. There is something so lovely about simplicity. Just wait until you see NEXT week’s tutorial, this HUGE isomalt lotus that just towers over a 6 inch gold leaf cake! I am seriously so giddy! Don’t forget you can get the video tutorial for this gumpaste peony here too! SO which do you like better? Silver or Gold? And which of the cakes I’ve used this technique for do you like best! I have a few more cakes planned using leafing as well this year! It’s always such a lovely addition to any cake! Love, love, love this <3 Thanks for posting! Thank you so much for the gold leaf and gumpaste/fondant flower tutorials. I am inspired to actually try this. YAY! that makes me so happy! let me know how it goes! Awesome tutorial! Where do you get the gold or silver leaf? 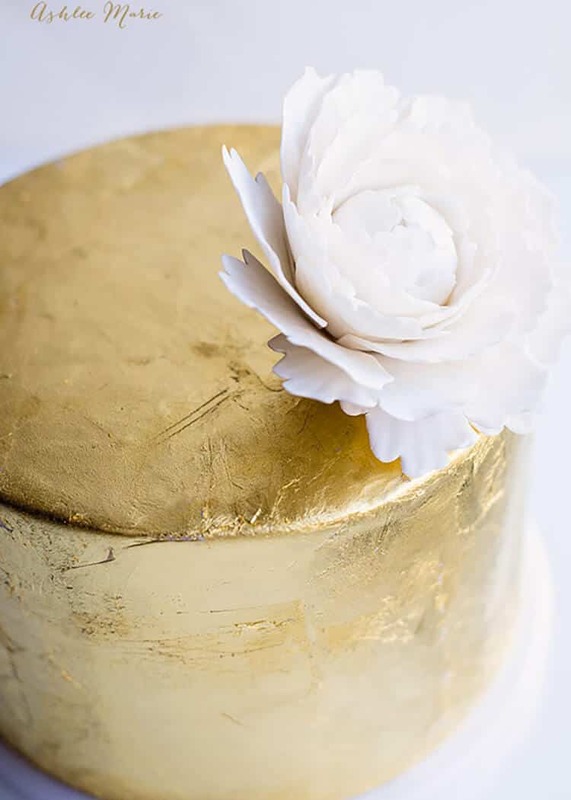 Can you gold leaf a cake on regular buttercream frosting that has been chilled instead of fondant? Our family doesn’t much care for fondant. Thanks. 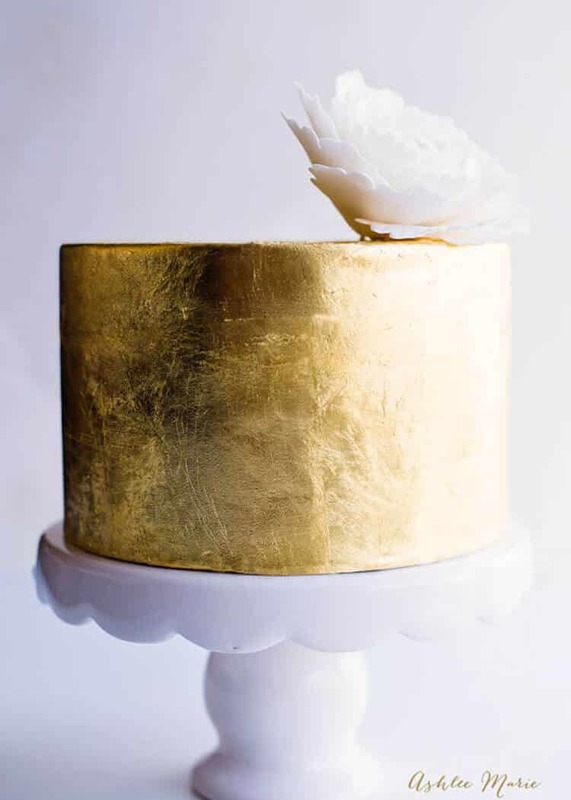 What is the best way to store a gold leaf cake before delivery? How many days before an event can you make the cake? Will it last days? What temperature! Thank you!!! 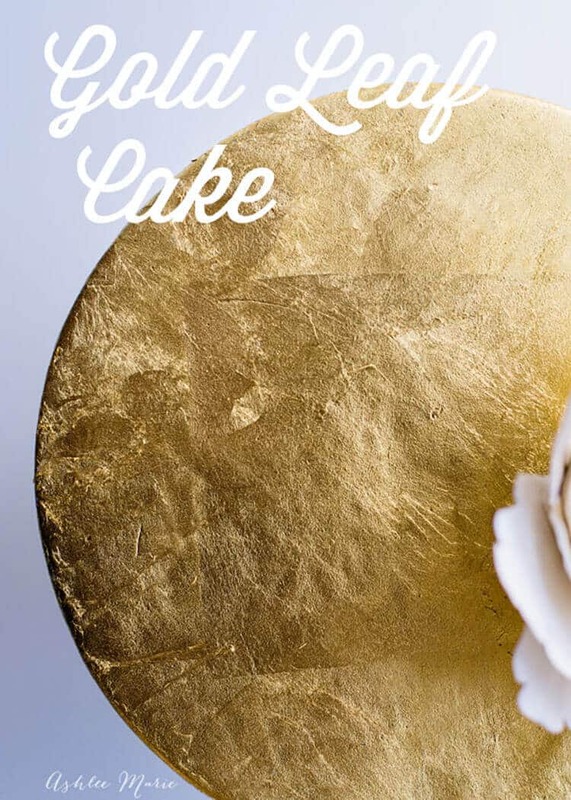 Thank you so much for this tutorial – I am thinking of using Gold Leaf on my wedding cake. Can you pipe onto gold leaf once its applied? I haven’t tried it, so I can’t promise – the best thing to do would be to simply give it a try! roll out some fondant, attach a square then play with it, pipe on it and see what you think!